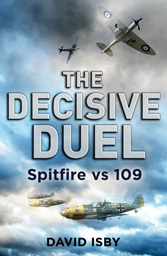 David Isby has written and edited twenty-six books of military history and analysis, many on Second World War aircraft and operations. A Washington-based attorney and consultant on national security issues and a former congressional staff member, he has testified before the House Armed Services Committee on tactical airpower. He frequently appears in the media and has lectured at staff colleges and other institutions. An experienced pilot, life-long model builder, and a veteran wargamer, military aircraft has played a big part in his family’s history ─ his father was in the USAAF and his grandfather was in the RFC and RAF. The author, at the controls of the Experimental Aircraft Association’s preserved B-17G bomber, The Aluminum Overcast. Doing coordinated S-turns with a crosswind above Intersate 81 running down the green and historic Shenandoah Valley was a wonderful demonstration of the responsiveness of this classic airplane (and a change from my usual 140hp Piper Warrior). The author, 1955, at Squire’s Gate airport, Blackpool. “Look, Dad, a Dragon Rapide”. All my life I have loved airplanes and flying, from the very start. My dad, who was based at Warton in 1943-45, just down the road from Squire’s Gate, is holding me up to in this picture. He took me to airports and, before I could read, read books at bedtime. I still have committed to heart most of David C. Cooke’s Fighter Planes that Made History and Bombers that Made History. The Dragon Rapide in this picture, G-AOKE, is still around, retired as a museum exhibit. The author, 1963, at NAS Willow Grove, Pennsylvania, with the Arado Ar 196 from the cruiser Prinz Eugen. By this time, I was both reading every book I could get my hands on about aircraft, but wanted to write my own.